One of my earliest memories to do with Christmas isn’t a Christmas memory at all. 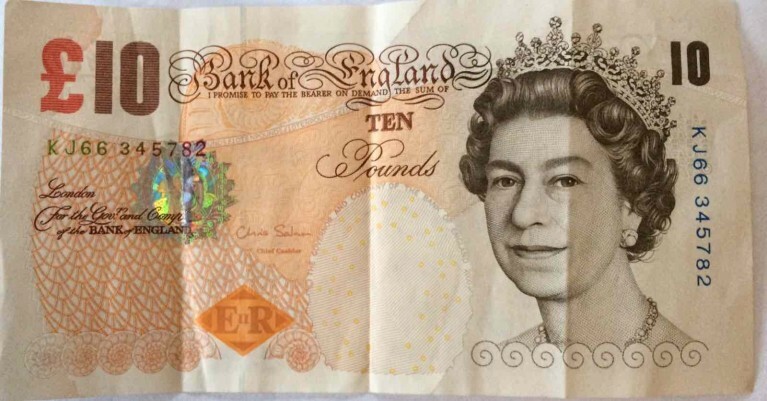 It’s an event that could occur at any moment during the year when I was out with my mum, and from the bank she would receive a brand new £5 or £10 note. She would invariably place it very carefully in her purse and say, “I’ll keep that as a Christmas present for someone” – probably a niece or a nephew of whom there were very many! Now while brand new notes are nice to look at, the reality is their value doesn’t lie in their condition. A dirty, worn and crumpled £5 note is still worth £5. As human beings we all too easily fall into the trap of deciding one another’s value by the way we look – and some of us do look very crumpled and worn! So worth being reminded then that the heart of the Christmas story is one of “good news of great joy that will be for all the people”1, irrespective of condition. We all have value because we all bear the image of God2, we’re all imperfect and in need of forgiveness because we’ve all fallen short of God’s glory3, and we all have hope because the Saviour God sent was sent to us all4.